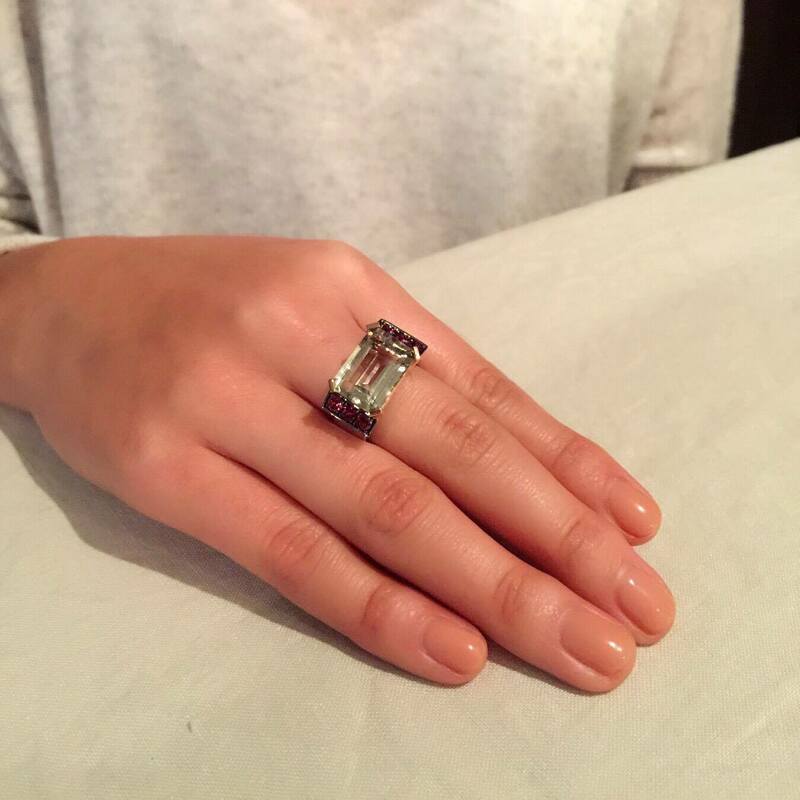 From our New York City collection this stunning green amethyst ring has six cherry Pink Rhodolites that have been set in 18 carat white gold. 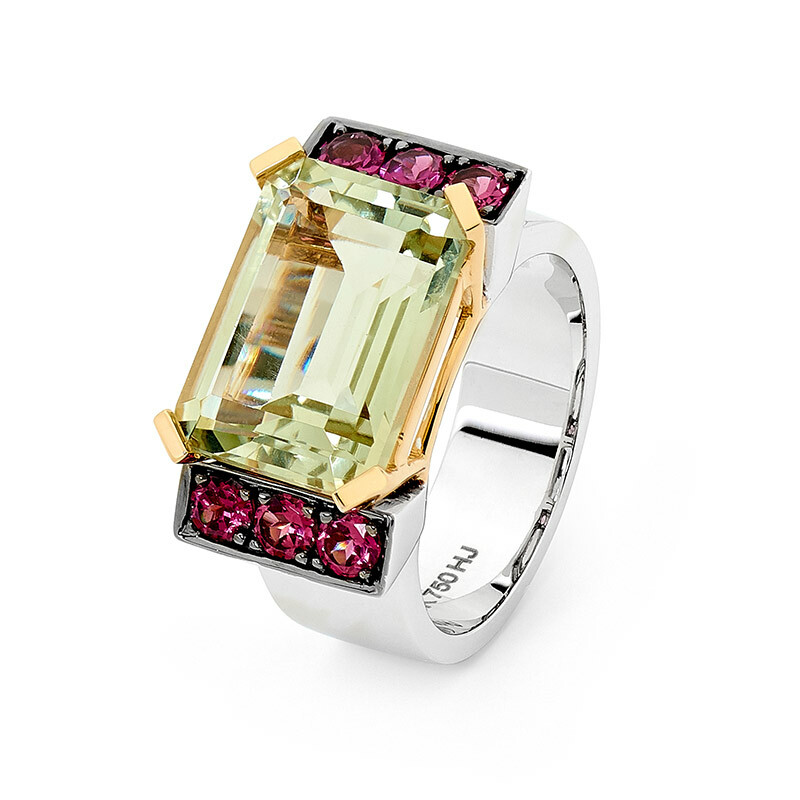 The larger gem sits proud in yellow gold setting. Stamped with Highlands Jewellery logo it is truly spectacular creation.